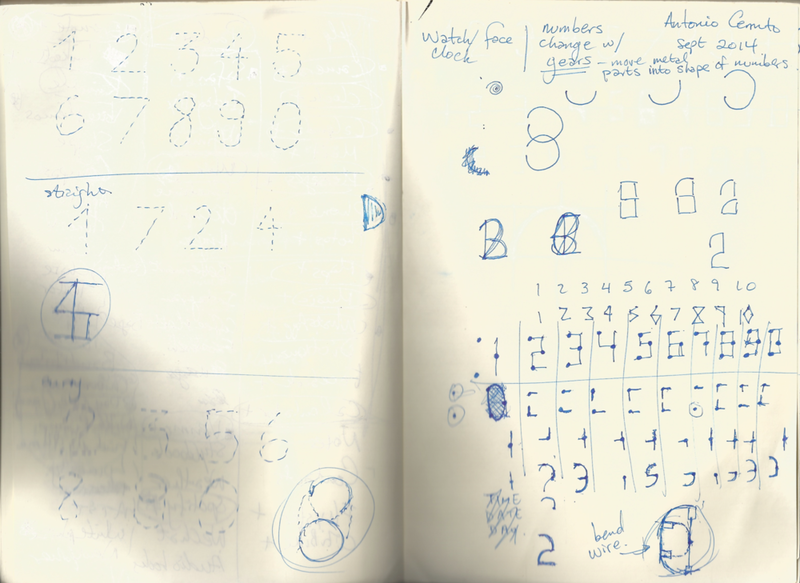 Watch design concept piece where each digit is formed using four arcs that rotate about two pivot points. The aim is to create a digital watch using analog components. Inspired by an observation that the traditional watch design where two or three arms that move to point at set locations is most appropriate for clocks that can be viewed from far away, as in a town square. A watch, viewed up close, affords the benefit of enlarged single numbers for greater clarity and faster reading.